The Dakota Access pipeline, which was at the center of protests by the Standing Rock and Cheyenne River Sioux tribes as well as environmentalists, leaked 84 gallons of oil in April, according to a report from the Associated Press. The pipeline, which is not yet fully operational, was filled with oil in preparation to begin service at the end of March of this year after duplicitous, ill-tempered toddler President Donald Trump signed an executive order for its advancement, just two days after the collective national nightmare that was the inauguration. News of the leak was published in a searchable database on South Dakota’s Department of Environment and Natural Resources website. But there was no public announcement about it because the state doesn’t issue news releases about leaks unless they prove to be a threat against public health, drinking water reserves or fisheries, according to Brian Walsh, an environmental scientist with the agency. The leak took place on April 6 and was quickly contained. 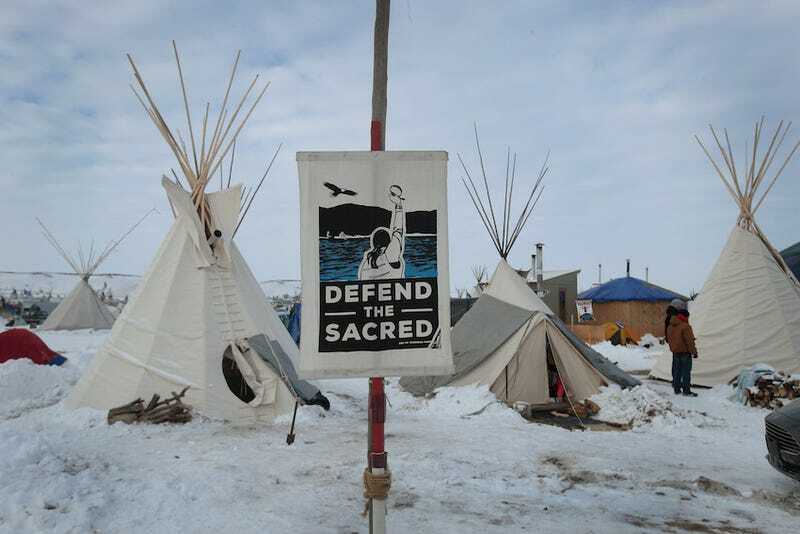 Though the leak was small and didn’t affect any waterways, but the fact that it even happened was enough to raise concerns with the Standing Rock Sioux tribe, who say that it’s proof that the pipeline will pose a threat to waterways and the cultural sites they wanted to protect. The pipeline is expected to be fully operational and ready to go on June 1.